We've hand-picked the very best of Auckland for you: its stunning beaches, historic buildings, leafy inner city parks, iconic volcanoes, scenic drives, pretty colonial suburbs and much more. A 'must' for anyone wanting a taste of Auckland in just four hours this tour weaves together culture, history, architecture, geography and essential 'kiwiness' to showcase our modern, vibrant city. Central Auckland 10.30am to 2.30pm. Daily, except 25 & 26 December. This tour is designed for those making the most of their last day in Auckland and includes an Airport Transfer to Auckland International Airport – domestic or international departures. We collect you and your luggage from your central city hotel or cruise ship terminal and then begin our five hour tour of Auckland, the ‘City of Sails’. 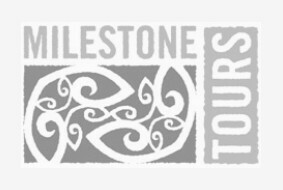 Our tour weaves together culture, history, landmarks, scenery and true ‘kiwiness’ that makes Auckland unique. This is also an ideal tour for cruise ship passengers who are finishing their cruise in Auckland. Auckland City 10:30am - 5 hour tour - Airport 3:30pm. Other times by arrangement. From Auckland you can easily discover our famous, 100% pure New Zealand. On our Auckland Day Tour we take in lush rainforest, untamed beaches, gannet colony, iconic volcanoes, vineyards and great views of the city on our West Coast Adventure tour. An hour north and a world away from Auckland is the Matakana coast. Once the 'fruit bowl of Auckland' its landscape is now home to thriving wineries, artists' enclaves and unique cottage industries. Join us on this memorable day trip from Auckland. Experience Maori culture, boiling mud pools, geysers, Kiwi birds, and glow-worm caves in one memorable day. Just a few hours south of Auckland lie some of New Zealand's most unique places: Geothermal and Maori culture-rich Rotorua and the majestic and awe-inspiring Waitomo Caves. Camera with fully charged battery. The Coromandel Peninsula is known for its natural beauty - breathtaking views, native forests and dramatic coastline - all set against the backdrop of the island-studded Hauraki Gulf and the Pacific Ocean. It attracts both artists and holiday makers seeking inspiring surroundings and a laid back life style. Join us on this memorable day tour from Auckland. Price includes free pick-up from central Auckland hotels and admission. Lunch is at own expense. Swim wear (if you like to take a dip), towel, sun protection and of course a camera. This one day tour from Auckland to Hobbiton and Waitomo combines two unique and very different destinations in one fabulous day. - Two hour guided tour of the Hobbiton Movie Set with free drink at the Green Dragon! - Lunch at the Shires Rest Cafe. - Waitomo Glow Worm cave tour. - Boat ride along an underground stream lit by millions of tiny glow-worms. - Picturesque drive through lush, green farmland. Approx 11 hours (7am to 6pm). Enjoy the awe-inspiring Waitomo Caves, the dramatic Huka Falls and Lake Taupo, Rotorua's Geothermal wonders and rich Maori Culture - all at a relaxed pace with an overnight stay in four star accommodation. Join us and enjoy the enchanting beauty of the world famous Waitomo caves. See the mountains of the Tongariro National Park reflected in Lake Taupo - New Zealand's largest lake. Watch the Waikato River thunder through the dramatic Huka Falls. Witness nature's geothermal wonders at the spectacular and colourful Wai-O-Tapu Thermal Wonderland. In Rotorua we experience Maori culture at Whakarewarewa's unique thermal village. Swimwear for the hotel pool and The Polynesian Spa.